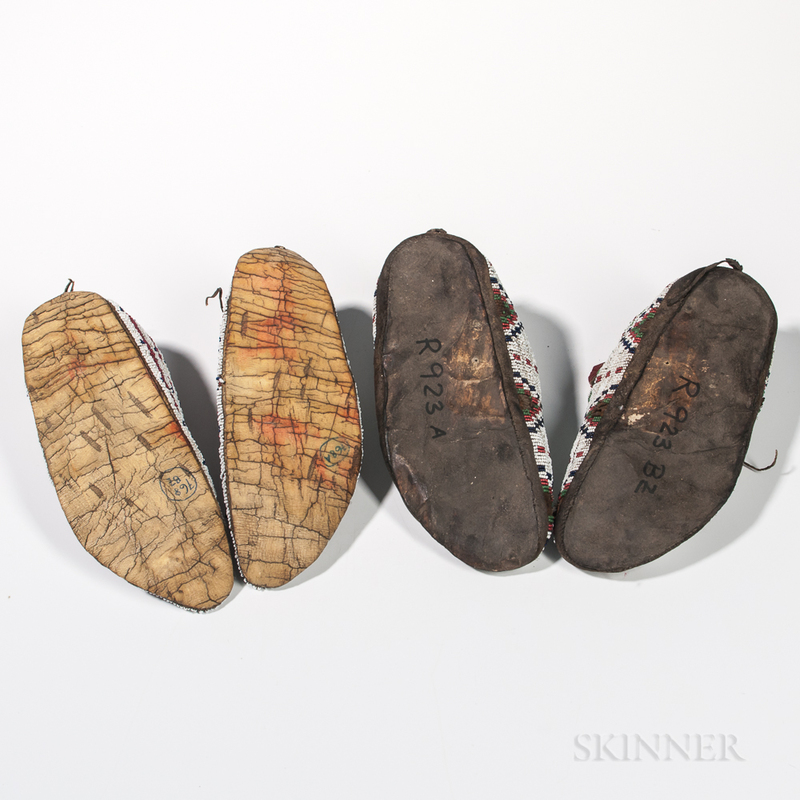 Two Pairs of Plains Beaded Moccasins, Sioux, c. third quarter 19th century, well used with reconstituted buffalo hide parfleche on the soles, (minor bead loss), lg. 10 and 10 1/2 in. Provenance: Private collection, Long Island, New York; The Karl May Museum, Radebeul, Germany. Hide for both pairs is stiff, with some pliability around the ankle.